Suited to Street and Track driving. 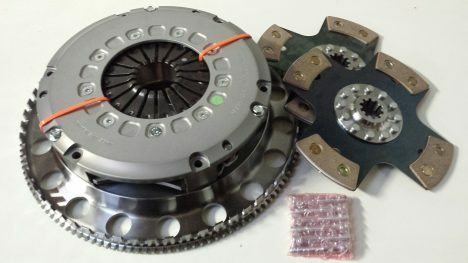 Unique Strap Drive Design Aluminium Twin plate 215mm Clutch is more refined for road use over the race lug drive clutches giving a better clutch release at low rpm. Works with OEM thrust bearing.